The Radial JR-5™ is a multi-switch remote control designed for the Radial JX44 Air Control wireless guitar and stage amp switcher. 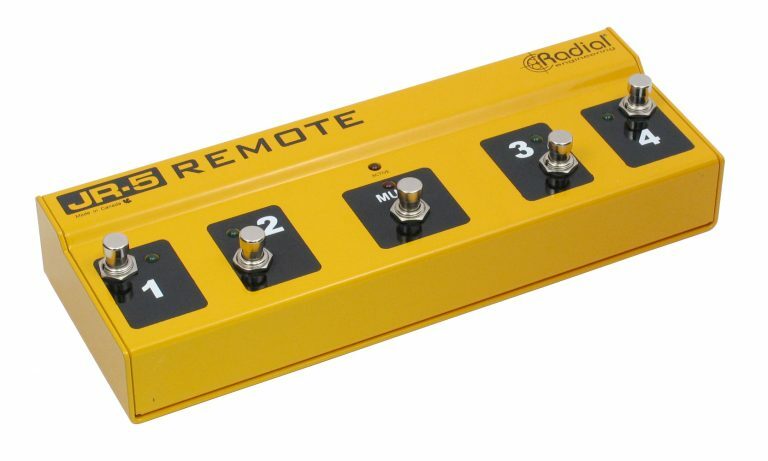 It features 5 footswitches that can be used to select instruments or amplifiers. Inside is a programmable memory chip (PIC programmable interrupt controller) that may be programmed using banks or used in manual mode. A series of five ¼” momentary contact closures may also be used to translate switch commands from a MIDI controller to remotely control the JR-5 and JX44.